This is a truly a unique piece. I found this stray bullet in a church parking lot. What is was doing there, I’ll never know, but one thing is for sure, it’s getting a second chance to bring someone beauty and joy. I paired it with a small brass heart and a freshwater pearl. It measures 2 inches. 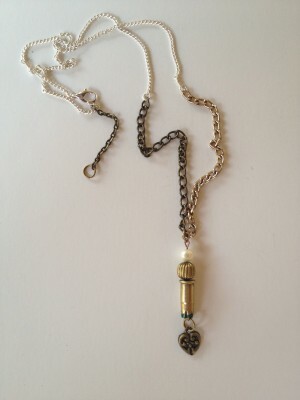 The multi-metal chain measures 22 inches with 1 1/2 inch long extension. Use the coupon code WAblog to receive a 20% discount on your order! I got such a great response from a recent piece, that featured guitar string and rusted washers, (triple wash) that I decided to pair them together again! An old guitar string, that has seen its share of music notes, strings up a rusted washer. 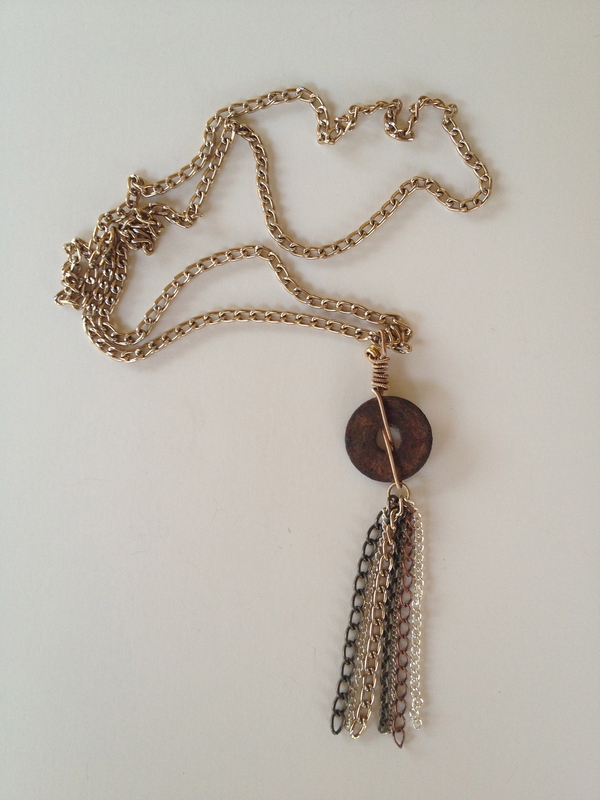 A fringe of multi-metal chains hangs and gives this piece a total of 4 inches in length. The chain is universal (no clasp) and measures 30 inches. Don’t forget to use the coupon code WAblog to get 20% off your order!